We moved a lot more slowly this time—no doubt in part because we are four years older. We are so glad we travelled a lot during our working years because it is getting harder. It takes a lot longer to get over jet lag than it once did. We decided to skip Museum Island this time. This is one of the great cultural treasures of the world and we certainly hadn’t exhausted it. It would take months for that—but this time we wanted, at least to some extent, to get off the beaten tourist track. Our first full day in Berlin, we didn't try to pack much in, but rather spent a relaxing half day at Berlin’s very impressive botanical gardens and the nearby Dahlem museums. 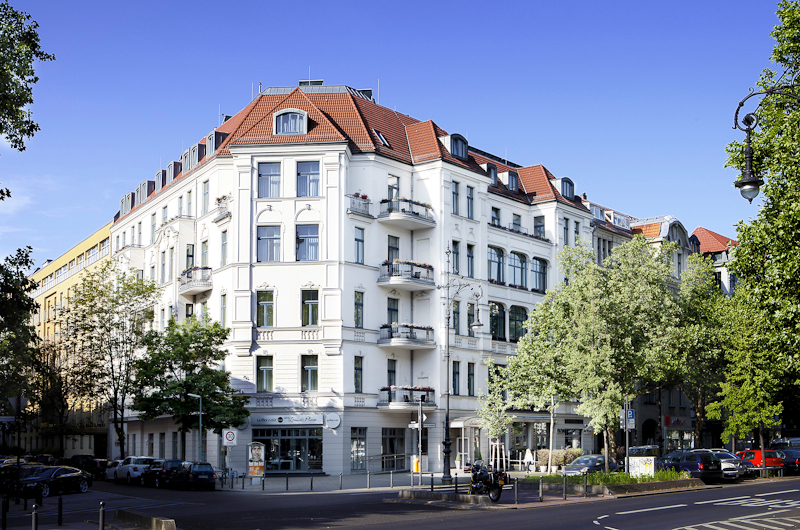 It is a testament to Berlin’s wealth of museums that Dahlem with its impressive Asian and African art collection is considered a second tier attraction. 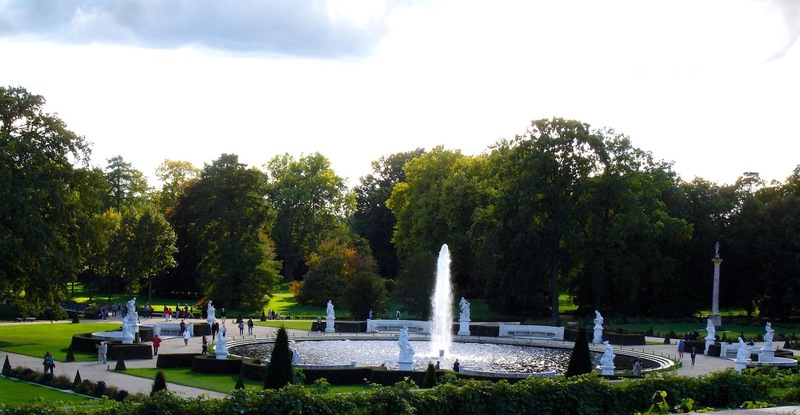 Our second full day we went to Potsdam which we had not managed to fit in on our first trip to Berlin. We soon discovered that Potsdam is worth more than one day and returned to Potsdam before leaving Berlin. 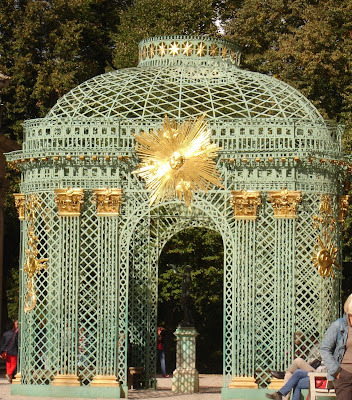 Potsdam was Frederick the Great’s creation, with all his passions and eccentricities on display. 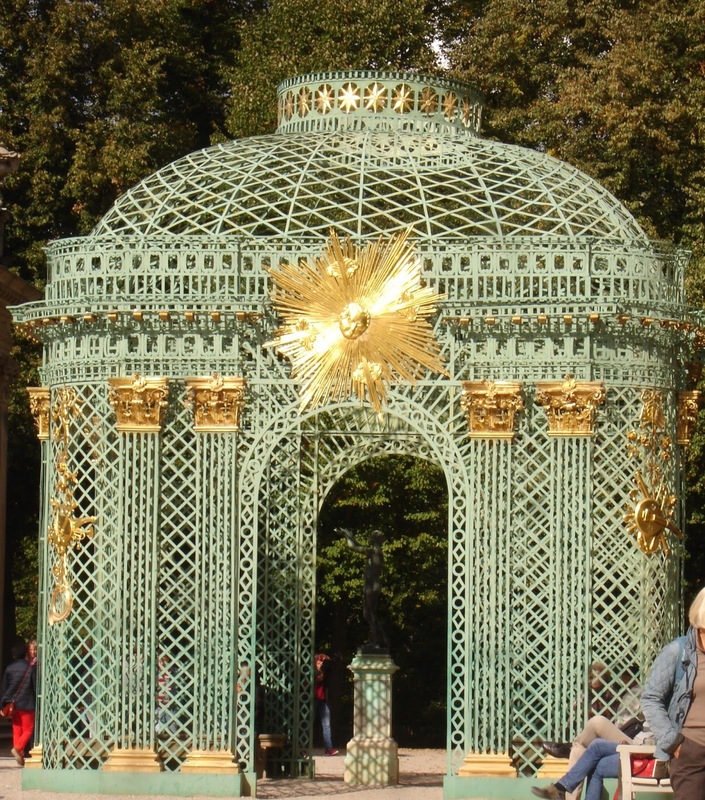 I was intrigued by the king who composed music, collected art, was seriously interested in architecture and corresponded with Voltaire at the same time he was waging war and building his empire. Frederick was also something of a penny pincher. 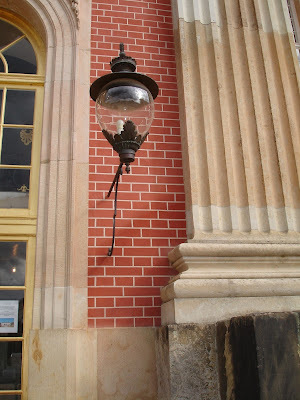 At Frederick's imposing New Palace I thought I was having an optical illusion. The bricks looked fake. And when we went up to them, sure enough the façade was painted to look like a real brick building. 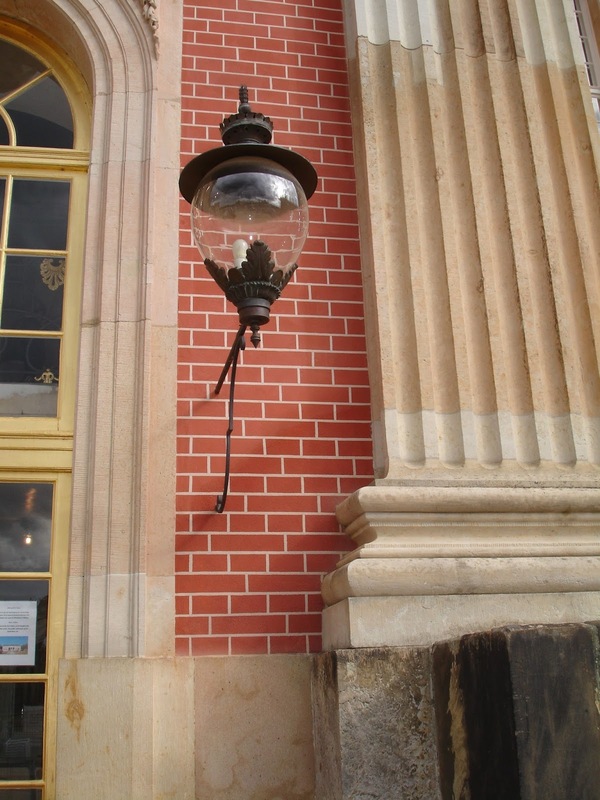 According to our guidebook, Frederick didn’t want to spend the money on real bricks! 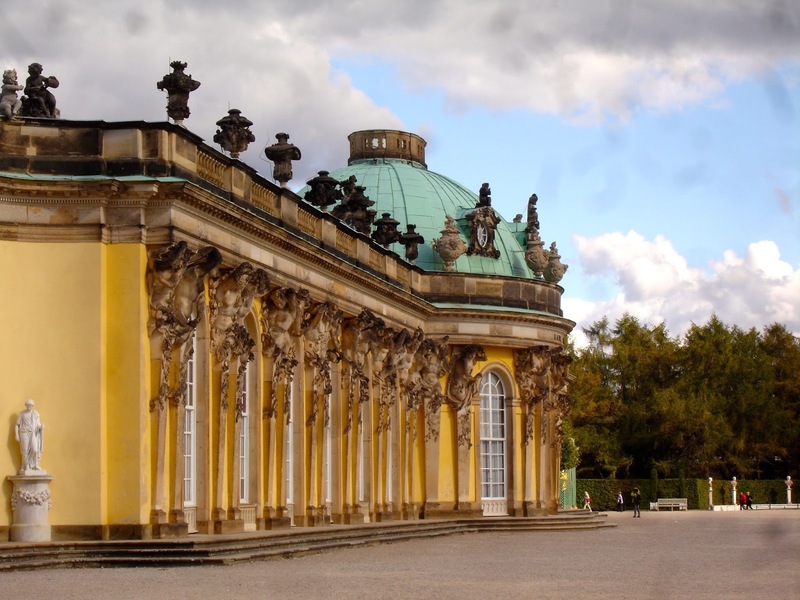 However, he spared no expense on the interior of the New Palace and on the jewel in Potsdam’s crown, Frederick’s Summer Palace, San Souci. For me the great attraction of San Souci was the Italianate formal gardens. 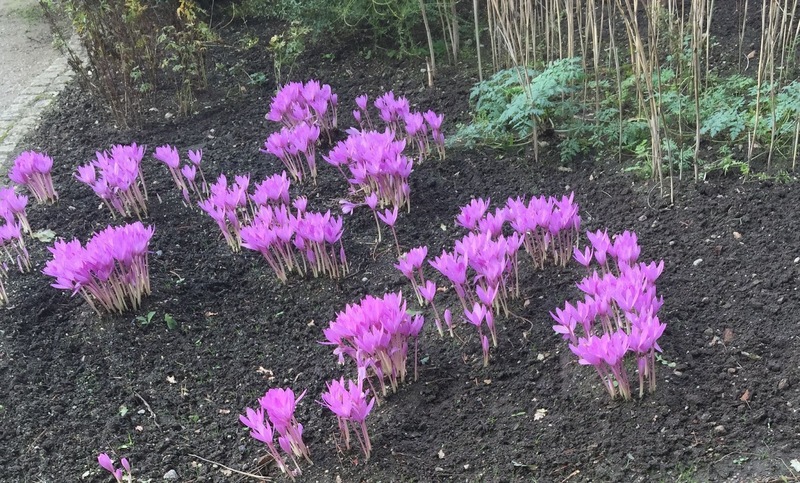 At this stage in my life I'm likely to prefer a garden over a museum—-some exceptions of course. More on Berlin’s museums to come. My husband Rick wanted to celebrate his 70th birthday in Berlin. I enjoyed Berlin, but certainly didn’t fall in love with it and thought that it would be the last time I saw Berlin. Rick, however, had an itch to get back there and so this year we decided one more time in Berlin. We take turns with vacations. I’m drawn to Southern Europe; he’s drawn to Eastern and Central Europe and this year was his turn. To my surprise, I liked Berlin better the second time around—probably because we were more relaxed. 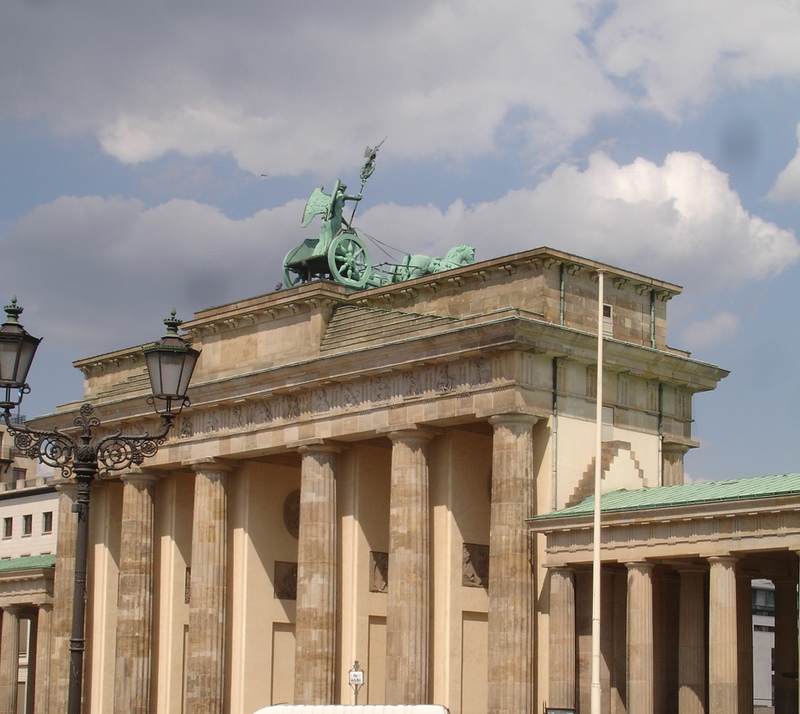 We weren’t ticking off all the “must see” tourist attractions—Museum Island, the Brandenburg Gate, the Jewish Museum etc. Another reason no doubt is that this time there were no hotel hassles unlike last time which was something of a horror show—the charming hotel we booked was certainly charming enough, but our room was a 6th floor walk-up. We spend a little more on hotels now—a comfortable bed is a necessity. 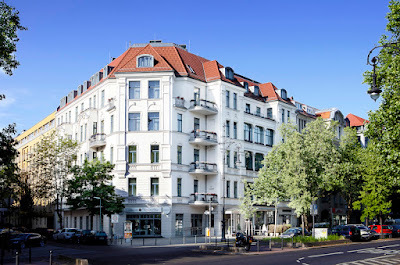 We loved our hotel—-Louisa’s Place in the Charlottenburg neighborhood; it is a suite hotel with really large suites and a great staff. Right next door is a seriously good restaurant, Balthazar. We used to traipse all over town for a highly recommended restaurants. 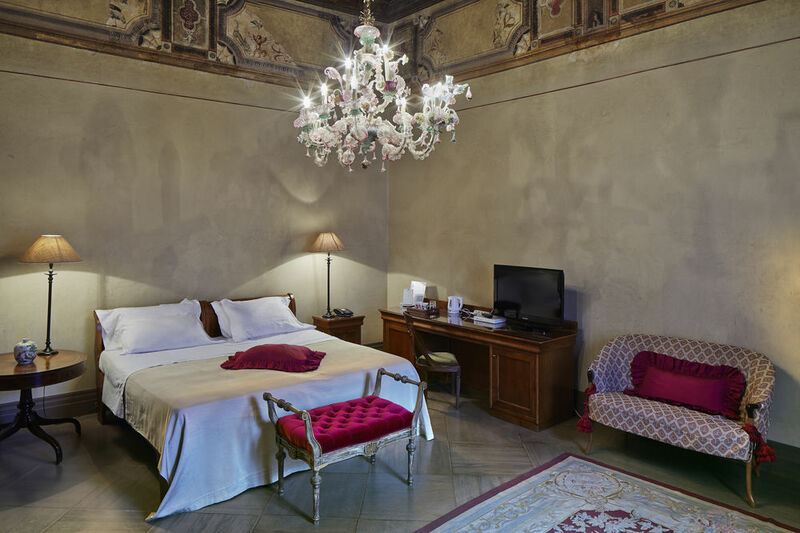 Now we take the hotel’s recommendations for good restaurants in the neighborhood and there was quite a selection of good restaurants within easy walking distance: Il Calice;Lamazere;,a wonderful Turkish restaurant Tugra ,and a traditional German restaurant Ebert. Rick thought that since we were in Germany we should try at least one German restaurant and I reluctantly agreed. We had heard that Ebert was traditional German cooking done very, very well. It lived up to its reputation with the best duck I’ve ever had—with crispy duck skin to die for. However, the dumplings while delicious were incredibly heavy. I could manage only one bite of the dumpling and could not manage even one bite of the huge bowls of red and green cabbage. I wasn’t interested in any more traditional German restaurants--not my type of food--but Rick convinced me that since we were in Germany, we should try at least one more German restaurants. So our last night in Berlin we went to Marjellchen, a highly recommended, incredibly friendly restaurant with reasonably priced German comfort food. The restaurant owners made you feel like guests rather than customers. Berlin is more affordable than other major European cities—possibly because it’s not a major tourist hub like Paris or London. And we certainly haven’t exhausted the museums or tourist attractions in Berlin. Rick is already talking about going back one more time. There’s always something we regret about the way we planned a trip. This time it was shortchanging Ravenna, once the capital city of the Western Roman Empire. 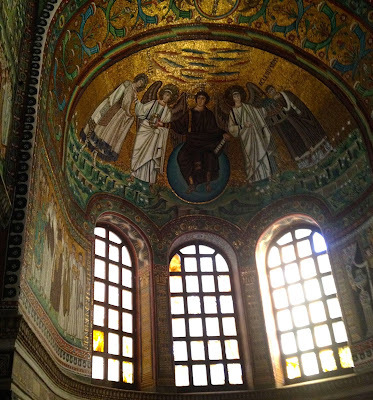 We knew that Ravenna’s 6-7th century mosaics were a major attraction, but we did not know how incredibly beautiful they are. 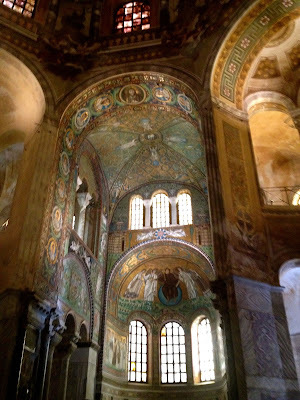 If we had known, we would have given Ravenna more than a one night stop. We stayed at a wonderful, affordable hotel in the old town, the Albergo Cappela. The hotel had a very good restaurant and the rooms were beautifully furnished. I’ve never before stayed in a room with 14th c. frescoes! It probably won’t happen, but I would love to get back to Ravenna again and give the city the time it deserves.